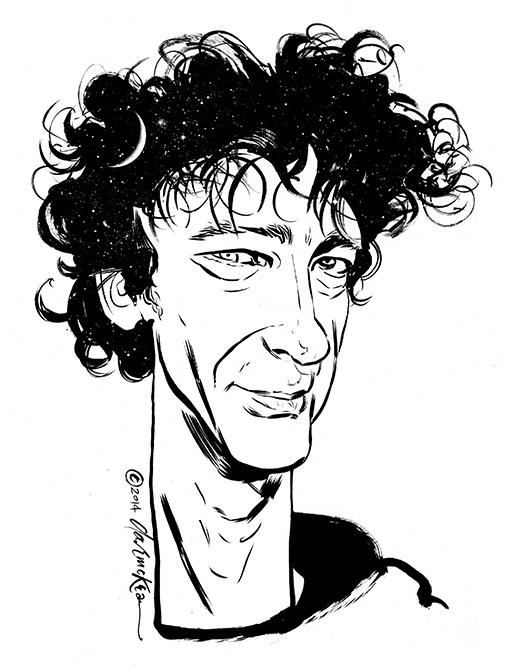 In a beautiful collaboration, New York Times bestselling and Newbery and Carnegie Medal-winning author Neil Gaiman and Kate Greenaway-winning illustrator Chris Riddell have created a thrillingly reimagined fairy tale, "told in a way only Gaiman can" and featuring "stunning metallic artwork" (GeekInsider.com). 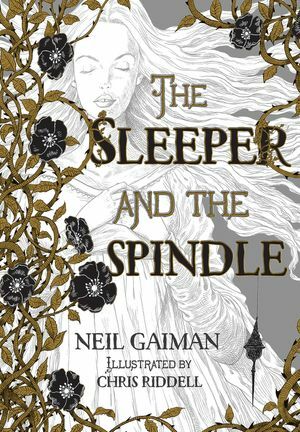 The result is a beautiful and coveted edition of The Sleeper and the Spindle that the Guardian calls "a refreshing, much-needed twist on a classic story." The Sleeper and the Spindle began life as a short story about fairytales. Two fairytales in particular: Sleeping Beauty, and Snow White. I wondered what would happen if a queen went off to wake the sleeping princess in the tower. And if the Queen in question knew a lot about magical sleeping, perhaps from having spent a year asleep in a glass coffin, having consumed a poisoned apple . . . The story I wrote was funny and odd and (I have been assured) feminist, mostly because all of the active people in it, except dwarves, are women. Chris Riddell is a remarkable illustrator. We started working together in the UK in 2008, but none of his illustrated work on my fiction has been seen in the US until now. Chris’s black and gold illustrations for The Sleeper and the Spindle were a whole new magical world, from the tracing paper cover to the final endpaper. I’m so thrilled that it’s coming to America. Chris Riddell’s art, one of the most beautiful books you will ever put on your shelves, and a story about smart women, and evil, and life. I hope you enjoy it.